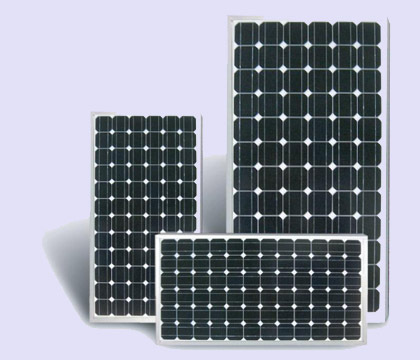 Solar modules are composed of solar cells with high conversion efficiency,EVA sheet,soalr glass and Tedlar(TPT) back sheet compounded from fluoro-plastic and Dacron.The module adopts reliable welding technology and high-vacuum heating aluminum alloy fram and watertight terminal box.As a result,it takes on a rational structure,and has an ultraviolet aging resistance and wind resistance of up to 2400Mpa. 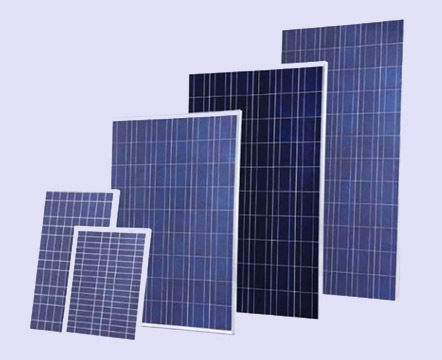 The mono-crystalline silicon solar module with the average conversion efficiency up to 16% which can work effectively even in the light dim. Meanwhile the module can increase the electricity energy greatly with anti-reflection film and high transparent glass. Backed with protective sheet. The cell can be protected properly with safety steel glass. Meanwhile the water is prevented from entering by using EVA and TPT. On the frame there are 4-6 holes for making easier to install on all the systems structure. In the joint box are 3 diodes which can effectively reduce the system power losing from the hidden module. 8) We also can produce them according to your specific requirement. The Poly-crystalline silicon solar module with the average conversion efficiency up to 16% which can work effectively even in the light dim. Meanwhile the module can increase the electricity energy greatly with anti-reflection film and high transparent glass. Backed with protective sheet. The cell can be protected properly with safety steel glass. Meanwhile the water is prevented from entering by using EVA and TPT. On the frame there are 4-6 holes for making easier to install on all the systems structure. In the joint box are 3 diodes which can effectively reduce the system power losing from the hidden module. 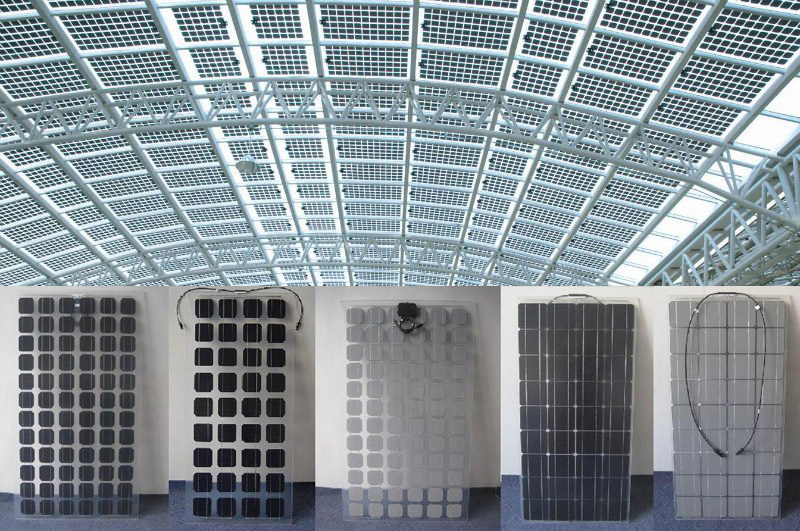 BIPV integrates PV module into building as transparent roof to achieve the perfect goal both for beautiful building and solar power station,BIPV Frame has been developed as a universal PV module mounting system for various building installations with water proof function. The innovative and patented aluminum rails, UV resistant EPDM and rubber clamp make the perfect function for water proof which realizes the panel roof integration. 1.Place the solar cell in between of two pieces of glass, leave some space between each layer so as to let sunlight pass through. 2.PV panel & building all-in-one structure, effectively reduce constructing cost. 3.Specifications of the accessories and solar cell can be tailor-made according to customer's requests. 4.The distance between solar cells is adjustable, making the light intensity controllable. 5.The thickness of the glass scales from 3.2 to 6(mm). 6.Junction box: can be installed on the flank or the back of the glass. 7. Available 100-500W BIPV,customized size and specification are welcomed.